In the dental industry, customers’s pain points are imperative to producing straight teeth and a great smile as the global market is expected to reach $37 billion by 2021. 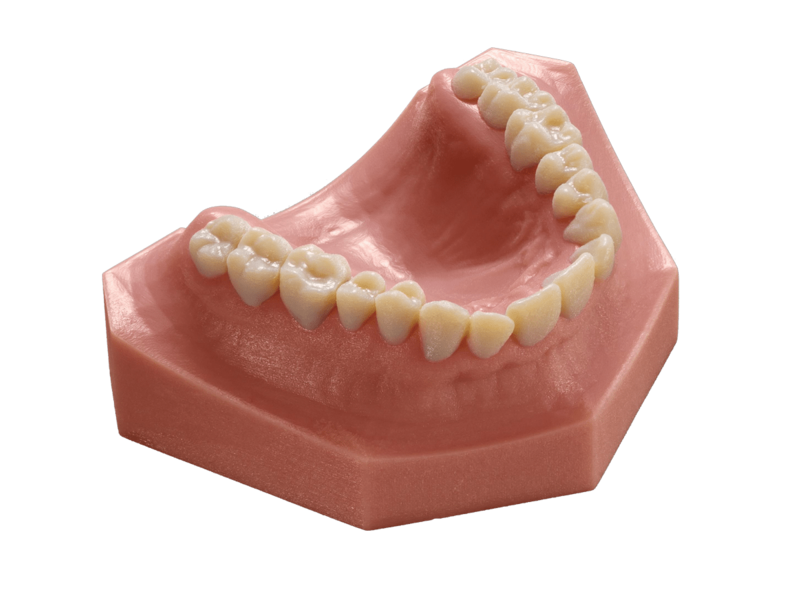 Dentistry itself is not a new industry but with the rise of additive manufacturing technology came digital dentistry and clear aligners which have redefined the market and expanded upon traditional braces. Intraoral scanners that take a patient’s digital oral impression, as well as expiring patents on the leading provider of clear aligners mean barriers-to-entry for this lucrative market are diminishing. And, while going to the dentist may still not be a preferred activity, the clear aligner alternative is credited with diminished pain of treatment as well as a better quality of life during treatment. For dental labs and suppliers looking to get their foot into the clear aligner market, an affordable and high-quality 3D printer that is able to handle the workload of clear aligner production. Opening in 1965, DynaFlex now competes in four dental-related markets: orthodontic products, orthodontic appliance manufacturing, 3D digital services, and dental sleep systems. Although already a small player in the clear aligner market, DynaFlex has been hampered by speed of production and fear of expanding into a technology that could compromise their high standard of care. “We talked with a lot of other lab owners who have tried various 3D printers with only limited success,” said Buddemeyer. “The arrival of the Stratasys J700™ Dental printer on the scene,” said Buddemeyer “with its dedicated production of clear aligner arches, was the impetus behind our company deciding to construct a dedicated 3D Printing Center within our warehouse.” The Stratasys J700 is optimized for the accurate, high-output of clear aligners, with a capacity of 40-60 arches per print tray and production of up to 1,500 arches a day. “We’ve been in the clear aligner market for quite a while,” said Darren Buddemeyer, CEO of DynaFlex, “but only in small quantities. What we’ve needed is a faster printer, one that could produce on-demand and didn’t require high levels of expertise to operate. We were anxiously awaiting the opportunity to get our hands on a J700 so we could meet customer demand,” said Buddemeye. orthodontics and now clear aligners, we can keep everything running off one central computer,” said Buddemeyer. In a nod to DynaFlex’s confidence in the growth of the clear aligner market and their ability to capture market share, two additional J700 Dental 3D printer stations have already been pre-wired, awaiting DynaFlex’s purchase of their next two J700s. “By year-end, our 3D Printing Center will look much different,” said Buddemeyer, “and we plan to be producing in excess of 1,000 arches a day” on the J700. confident and comfortable with Stratasys.